Ep. 168: Aimee J. 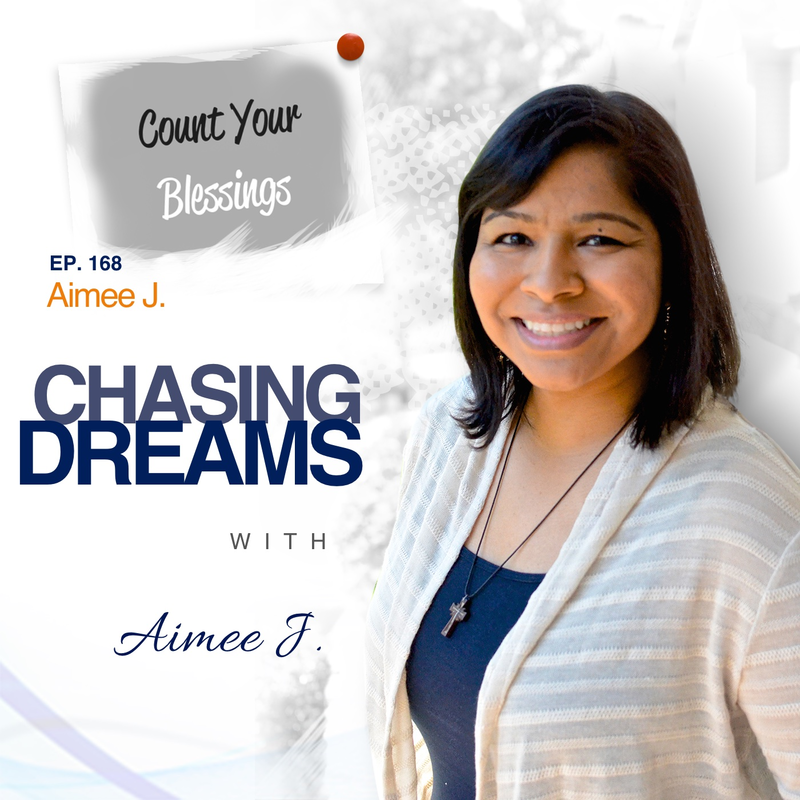 – Count Every Blessing | Aimee J. How do you practice gratefulness? As we celebrate the holiday of Thanksgiving Day, I’m inspired by thoughts of being thankful, and want to share those thoughts with you on this unusual solo episode. I’m traveling in India with my family, but I want to focus some attention–and intention–on this special day and the overall importance of giving thanks. What is the purpose of the Thanksgiving holiday? Putting the historical aspects of Pilgrims and Indians aside, the purpose of the day is to give thanks for what we have in our lives, and for most of us, that means the “typical” things that are easy to identify. We all think of family, freedom, enough food to eat, a good job, and things to enjoy in life. But wait—there’s more! Don’t forget the little things that make life special. They can be little moments, little joys, little triumphs, and little events that teach us unforgettable lessons. For example, I’m thankful for travel, for family in India, for spending time throughout my childhood here, and for knowing how to speak, write, and read my native language. When it comes down to it, some of the best things to be thankful for are the little things we are tempted to take for granted. Do we really need a special day to remind us to be thankful? Are you a “glass half-full” person? Unfortunately, most people are hard-wired to notice and emphasize the things in life that are going wrong, but we can’t let those things be the focus of our lives and be the force that guides us. We need to focus instead on what IS working and switch the mindset from the negative to the positive. When you have a bad day, be thankful that you’ll have another day and a new chance to fix things and make it better. Do you enjoy hearing constructive criticism? Most of us would answer with a definitive NO, but there is power in constructive criticism and feedback. Don’t view it as a bad thing, but as something that helps us improve. Positive feedback that is warranted can be fuel for the fire that gets you going. You can find a way to turn every negative into a positive. Don’t fall into the trap of letting one negative piece of feedback erase all the positives!